Please join us in congratulating Ami Harshfield and High Point Home Health for being this month's Logan County Chamber Business and Entrepreneur of the month. Ami opened High Point Home Health in Bellefontaine in September of 2001 and provided most of the skilled nursing on her own for several years. In 2003 she opened a second location in Sidney followed by a third location in Kenton in 2006. Her business has prospered and today boast 120 staff members including her husband Mark, who manages and maintains their Medicaid Guidelines and her mother, Kathy Latimer, who assists her in managing the financial aspects of her business as well as any other capacity that requires assistance. High Point Home Health provides skilled and private duty nursing, and services in the following areas: physical therapy, occupational therapy, speech therapy services, and personal care services. When asked about her marketing strategies, Ami stated, "We accept most patients that call for our services. We try very hard not to turn anyone away, regardless of payer. Most agencies don't do this. We keep a great line of communication with anyone we do business with. Accountability is the key. My staff are over the top with customer service and with follow through." She also believes that one of the most valuable ingredients to a successful business is taking care of and acknowledging every staff member as valuable. 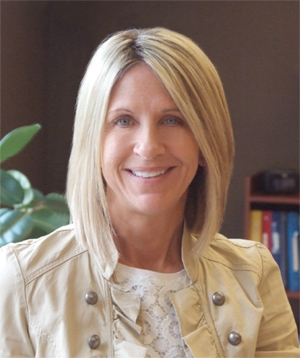 In June of last year, they received a perfect score on a survey conducted by the Ohio Department of Health and Ami credits this outstanding accomplishment to the leadership skills exhibited by her amazing staff. 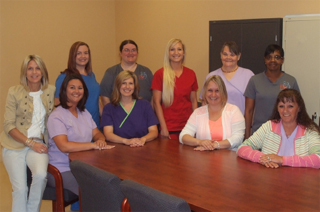 Ami believes that it spotlights the quality of care that they extend to their patients. When asked why she chose to locate her business in Logan County she responded, "I was born and raised in Logan County and believe in giving back to our community." When asked why she chose to be a member of the Logan County Chamber she responded, "I think it's important to be part of the Chamber to keep our company name out in the public and amongst other Chamber and businesses in the area. We thank Ami and the staff at High Point Home Health for their 15 years of chamber membership and their service and commitment to Logan County.